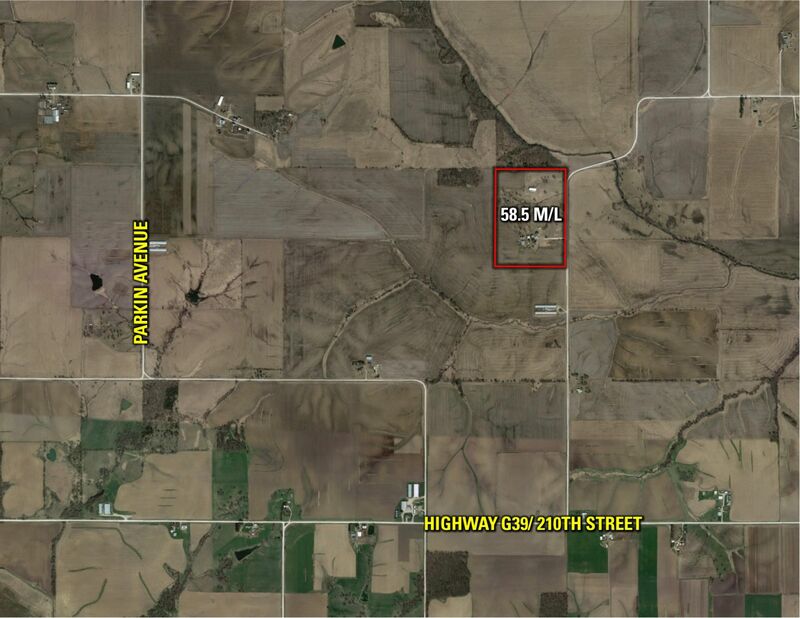 Presenting 58.5 acres m/l of productive Mahaska County farmland located in section 25 of Adams Township just miles northeast of Oskaloosa. 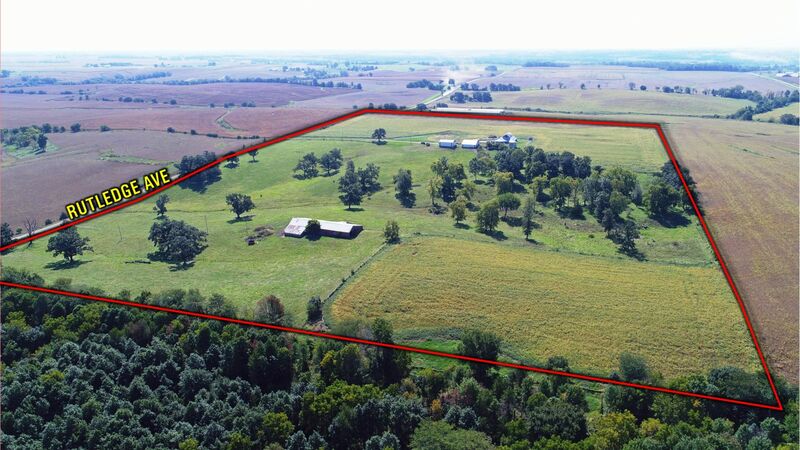 The farm consists of 23.39 tillable acres with an average CSR2 of 77.7. The remaining acres are currently in pasture with well maintained fences and plentiful oak trees for shade. Farm Improvements include a 48x46 Pole Storage Building, 48x40 Open Front Storage Shed, 58x38 Barn with a 36x16 lean to and a 132x50 livestock building; as well as 2 grain bins. 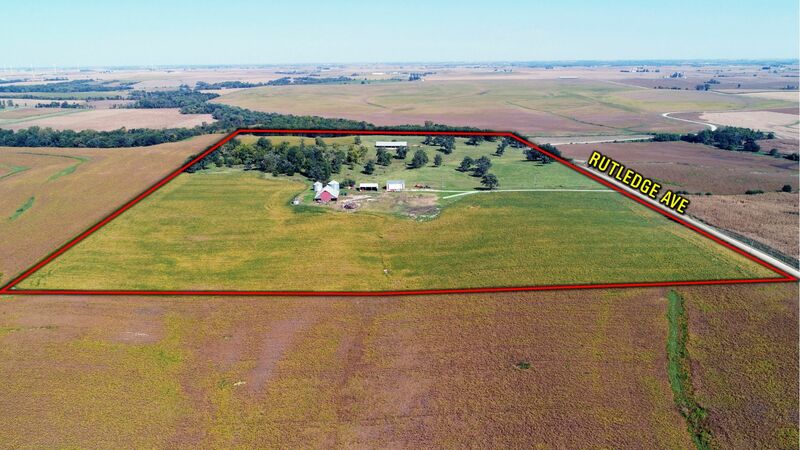 Property has great potential as your acreage setting with rural water, electric and southern Iowa views. Southeast 1/4 of the Northwest 1/4 and the North 1/2 of the Northeast 1/4 of the Southwest 1/4, Section 25 Township 76 North Range 15 West Mahaska County, Iowa. Exact legal to be taken from abstract. 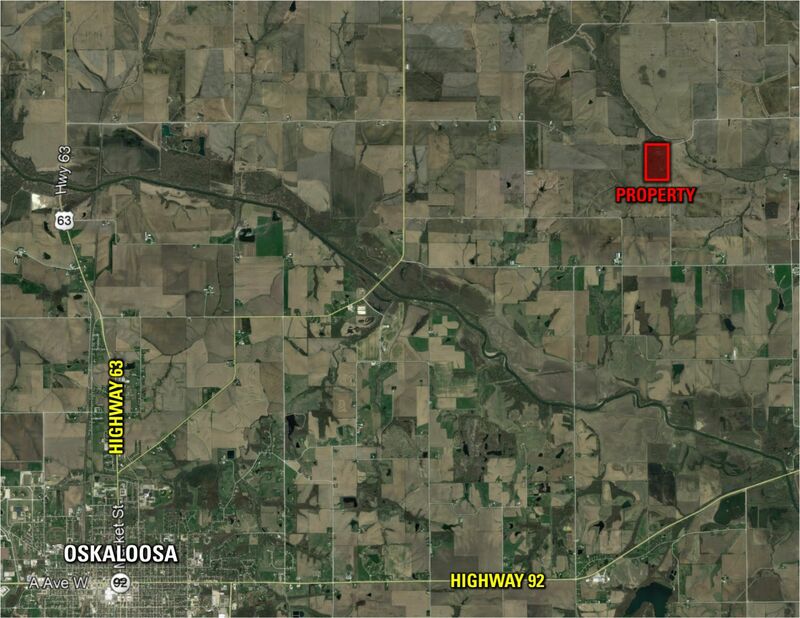 From Oskaloosa, IA travel East on Highway 92 for approximately 5 miles to Queens Avenue and turn North. Travel approximately 3 miles on Queens Avenue and turn East onto 215th Street and travel 1 mile. Turn North onto Rutledge Avenue, travel 1 mile. 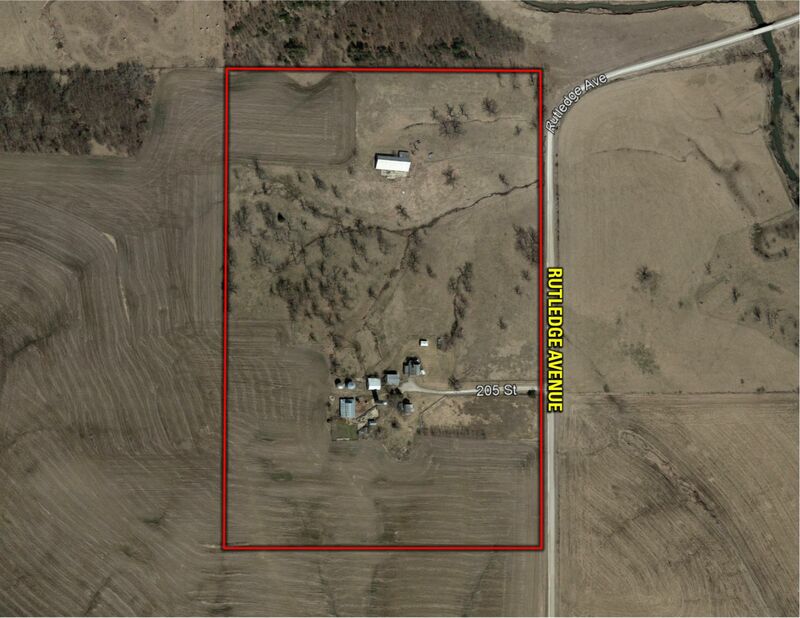 The property lies on the West side of the road, 2047 Rutledge Avenue, Rose Hill, Iowa 52586.